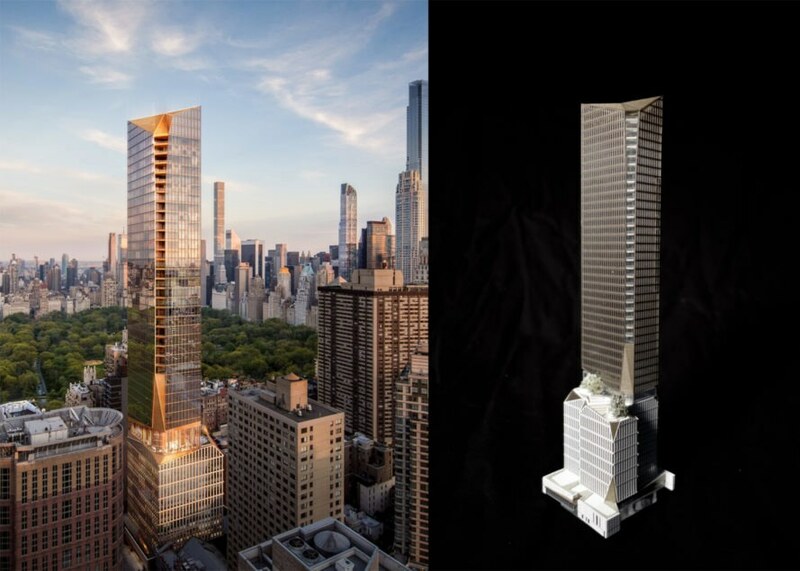 Snøhetta has unveiled a handsome skyscraper for Manhattan’s prestigious Upper West Side at 50 West 66th Street. 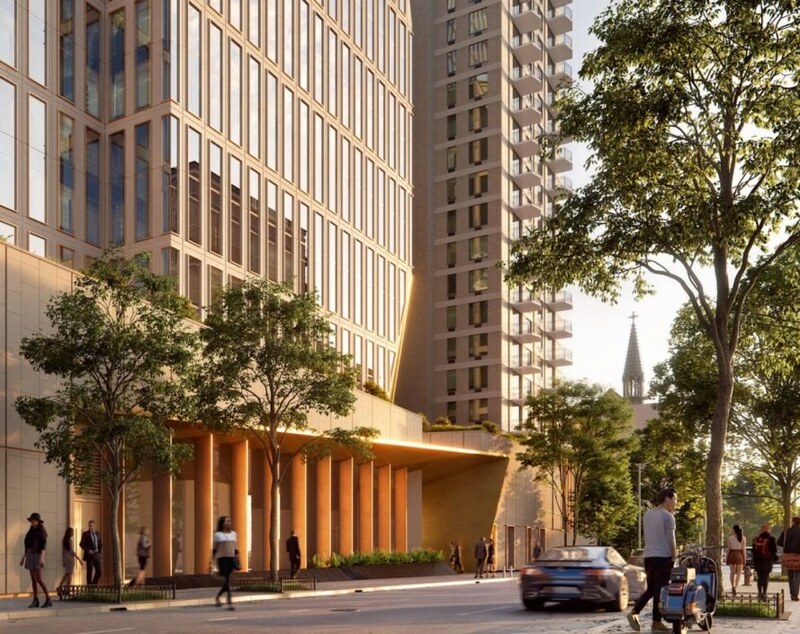 Undeniably modern yet sensitive to its historic context, the striking mixed-use tower will soar to a height of 775 feet with 125 residential units. 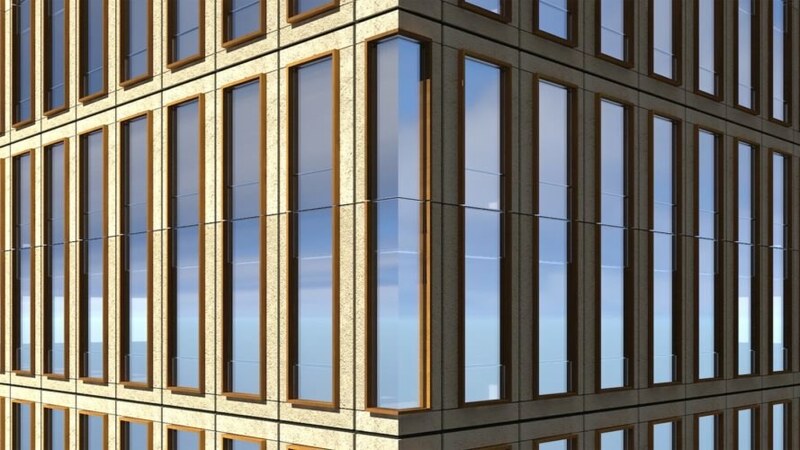 The chamfered form, cut into an angular shape, is “evocative of the chiseled stone of Manhattan’s geologic legacy,” say the architects. Snøhetta’s skyscraper comprises luxury residences stacked on top a mixed-use podium. 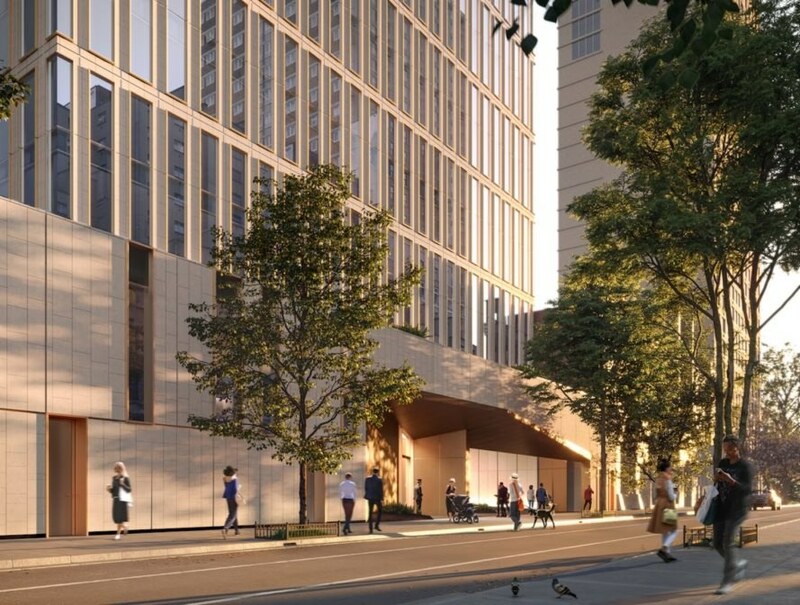 The residential entrance will be located on 65th Street, while the entrance to a synagogue will be located on 66th. A large terrace is placed atop the podium on the 16th floor, where the building’s residential slab is set back from the multilevel outdoor plaza. 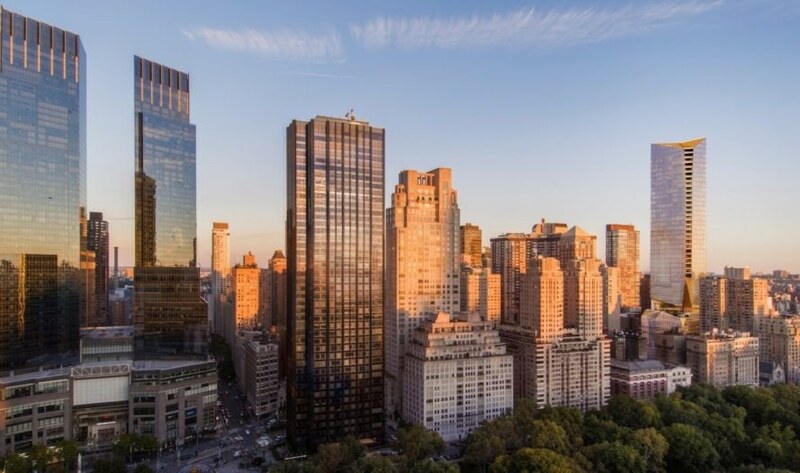 The lushly planted terrace will offer views of the Hudson River, Central Park, and the city. The architects carved away the skyscraper to create a dynamic form with a chiseled crown. Handset and textured limestone, bronze, and glass clad the building. Construction is slated to begin in Spring 2018. 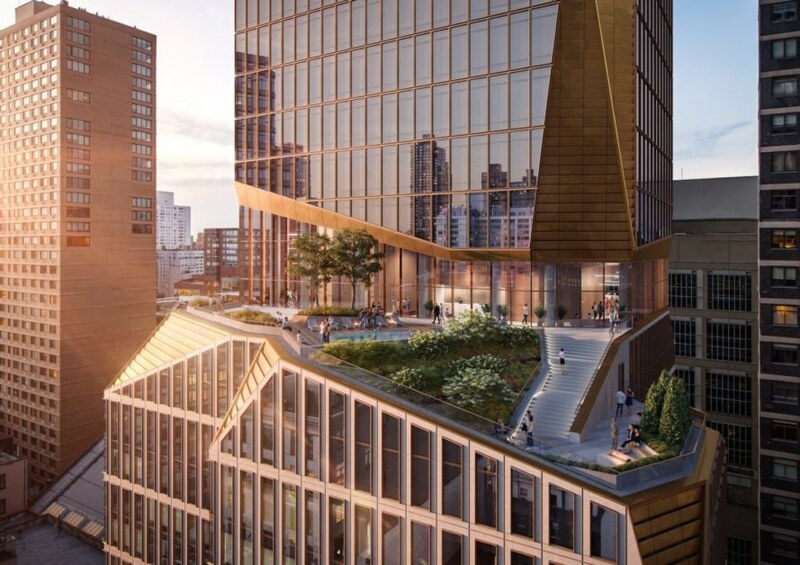 Snøhetta’s skyscraper comprises luxury residences stacked on top a mixed-use podium. The residential entrance will be located on 65th Street, while the entrance to a synagogue will be located on 66th. A large terrace is placed atop the podium on the 16th floor, where the building’s residential slab is set back from the multilevel outdoor plaza. The lushly planted terrace will offer views of the Hudson River, Central Park, and the city. The architects carved away the skyscraper to create a dynamic form with a chiseled crown. Handset and textured limestone, bronze, and glass clad the building.